Most of us regard the world's most uninhabitable continent as little more than a frozen wasteland, but a team of leading international architects and artists will challenge that view at this year's Venice Biennial of Architecture. Titled Antarctopia, the Antarctic Pavilion marks the continent's first representation at the annual contemporary art exhibition. Zaha Hadid, Alexey Kozyr, Hugh Broughton and other renowned architects and artists will explore man's relationship with Antarctica by showcasing present and future models of living in the polar continent. Commissioned by Alexander Ponomarev and curated by Nadim Samman, Antarctopia will offer a glimpse into Antarctica’s unknown wilderness, its provisional architecture, and the surprising culture and community that exists within the continent. As the coldest and windiest place on the earth, Antarctica sustains a population of less than 1,500 during its 7 month long, sunless winter and 4,000 in the summer months. The stations built for scientists and explorers are often minimalist due to the difficulty of importing building materials and the inattention of the architectural community. Stand out stations that will be highlighted include the world’s first modular research station Halley VI by Hugh Broughton Architects and the Arctic Poppy Orangery by Alexy Kozyr. A long-term project, the Antarctic Pavilion aims to spark architectural debate and change to the existing research stations and spur interest in the continent’s cultural potential. Antarctopia will also be known as a “Transnational Pavilion” since multiple countries lay claim to overlapping parts of the Antarctic. The Pavilion and the Venice Biennial will open on June 7 and run until November 23. The stations built for scientists and explorers are often minimalist due to the difficulty of importing building materials and the inattention of the architectural community. Photo by Sam Burrell. The Arctic Poppy Orangery in Antarctica by Alexy Kozyr. 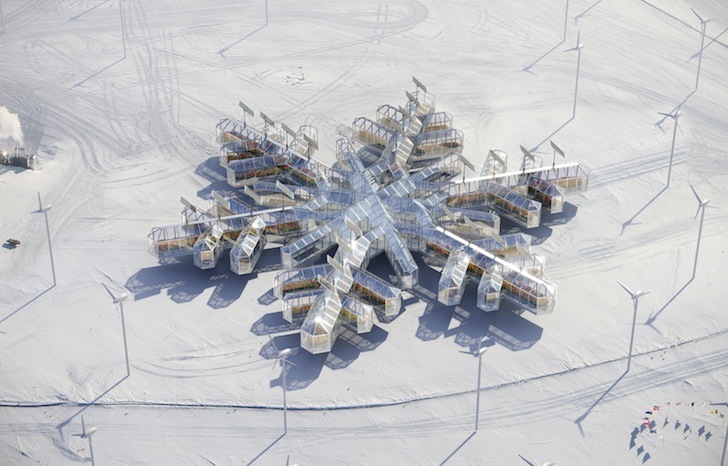 Antarctopia will show off the Halley VI, a modular research station in Antarctica designed by Hugh Broughton Architects. Photo by Ant Dubber. Surgery room on the Halley VI. Photo by James Morris. Side elevation of Halley VI. Photo by James Morris. A long view of the Halley VI. Photo by James Morris. A frontal view of the Halley VI. Photo by James Morris. The bar and games area in the Halley VI. Photo by James Morris. The control room in the Halley VI. Photo by James Morris. A BAS resupply ship in the icy waters. Photo by James Morris. A mock up of the Halley VI central module in Cape Town, South Africa. Photo by HBA. Modular A of Halley VI being towed to a Z6 site. 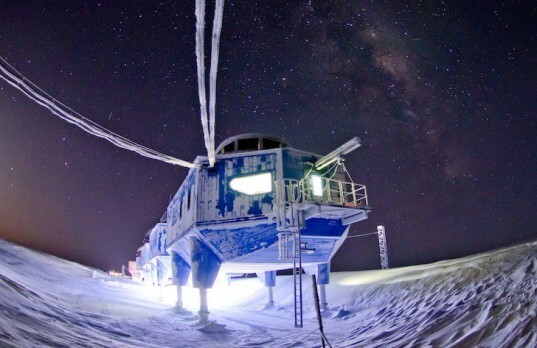 Iced up view of Halley VI. Photo by Ant Dubber.